At the University of Minnesota, we are always interested in improving the education of our physics students receive. In the late 1990's we implemented a computerized version of our problem-solving labs as part of a NSF-ILI grant (#9651339) and with support from the University of Minnesota. This was the subject of Laura McCullough's Ph.D. thesis in 2000: "The effect of introducing computers into an introductory physics problem-solving laboratory", which can be downloaded from here. 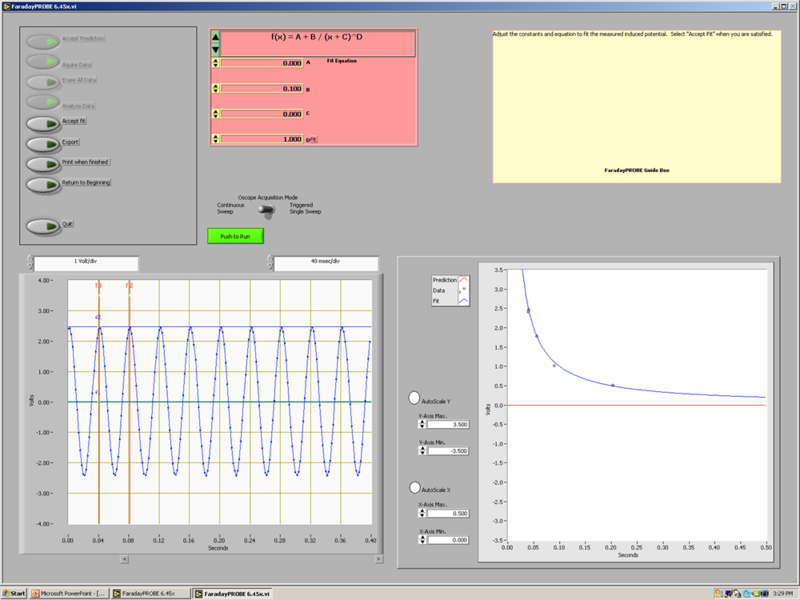 Programs for data acquisition and analysis are written in LabVIEWTM from National Instruments and are designed to reinforce the pedagogy of problem-solving labs. To read more about the rationale for the software, go to the Frequently Asked Questions page. 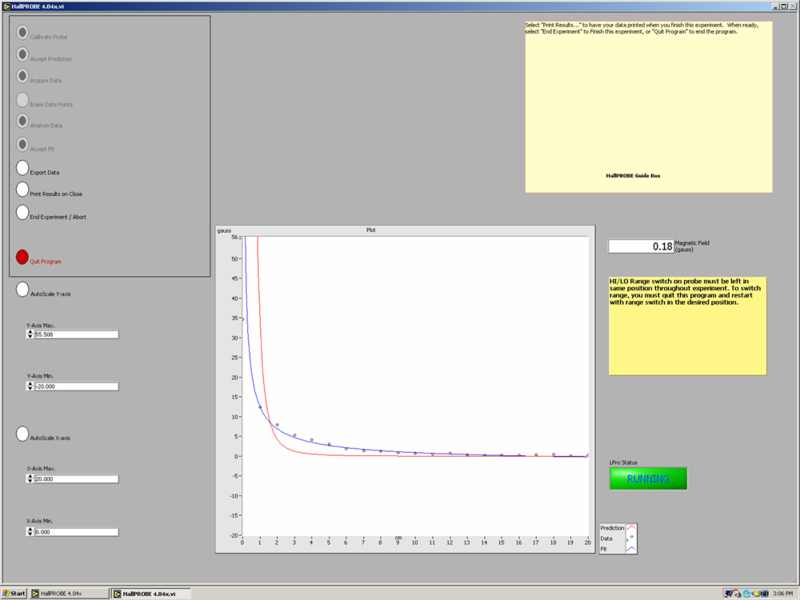 The software was also the subject of an AAPT talk in 2007. Updated versions of the programs may be available upon request. Contact the group for more information. Practice FIT screenshot. Now a part of "MotionLab". 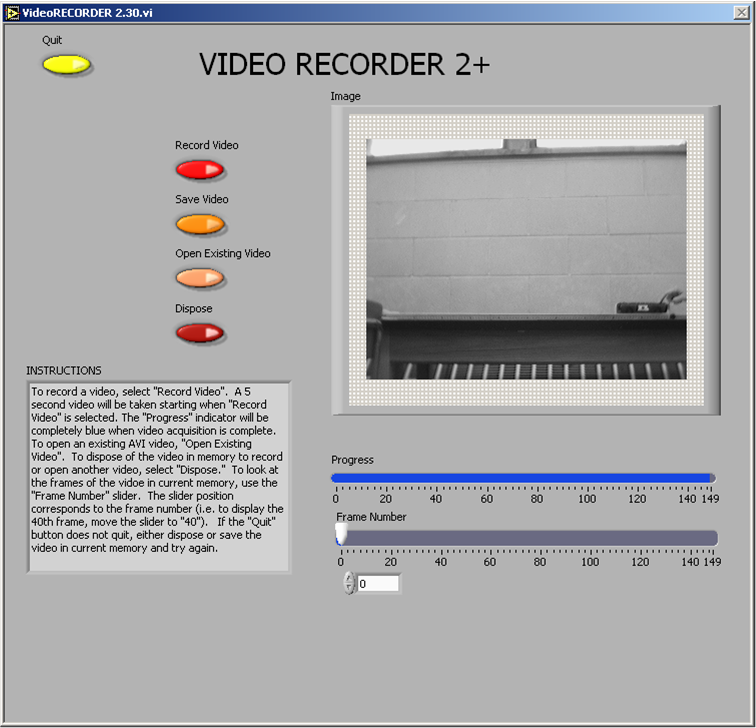 VideoRecorder screenshot. Updated to include minimal camera controls. 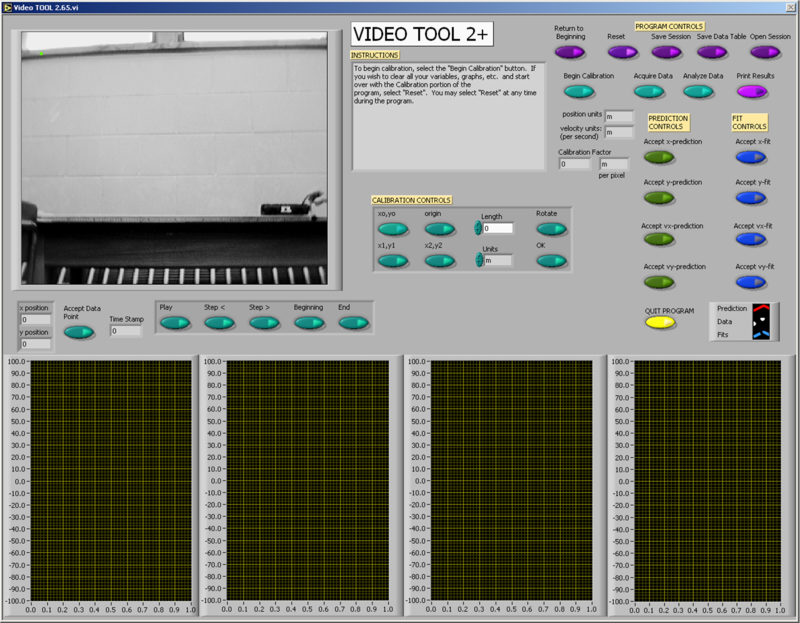 VideoTool screenshot. Now a part of "MotionLab". 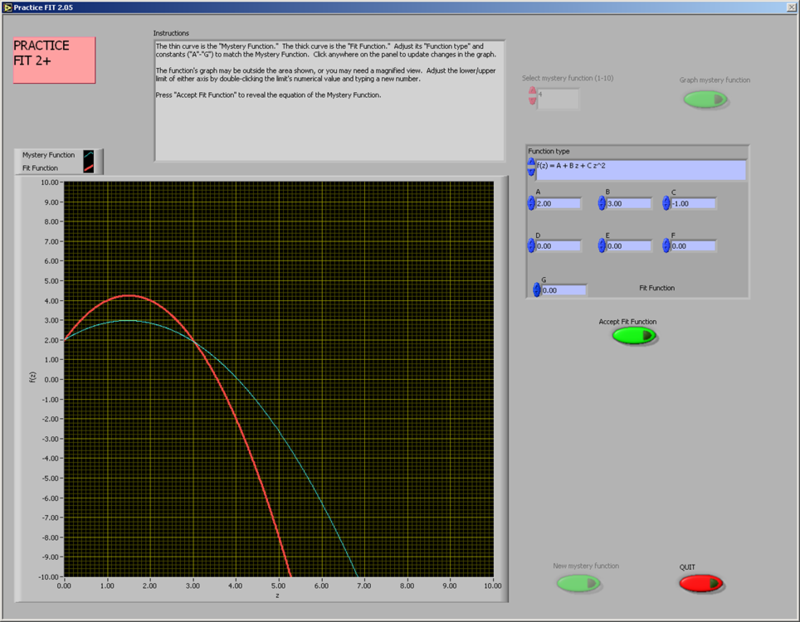 Faraday PROBE screenshot. Mimics an oscilliscope.